Charles Vining was born on 27 August 1780 in Yeovil, the son of brick maker Richard Vining (1752-1816) and Maria née Smith (1753-1839). He was to become a mason and master builder and on 4 April 1808, aged 27, he was married at Limington, just a couple of miles north of Yeovil, to Sophia Hobbs originally from Portsea, Hampshire. Charles and Sophia were to have six children; James Tally born 1809, Charles born 1811, Joseph born 1813, Richard born 1815, Sophia born 1818 but died in 1821 and a second daughter was called Sophia born in 1824. Charles was known to be in a partnership with Thomas Dampier as glove manufacturers, Vining presumably being a sleeping partner. The partnership was dissolved in July 1836. Charles was recorded in the 1832 poll book as living at Picketwitch (not the late pub of that name, but a large house in the vicinity). He was listed in the poll book by virtue of owning a freehold house in Kingston. The entry was repeated in the 1834 poll book as well is that of 1846. Behind the House was a name given to a field to the immediate north of Picket Witch House, the home of the Vining family, and where according to the 1846 Tithe Apportionment where the brickyard was located. He was listed as a Brick Maker in Pigot's Directories of both 1830 and 1842 as well as in Robson's Directory of 1839. An example of one of his bricks is photographed below. 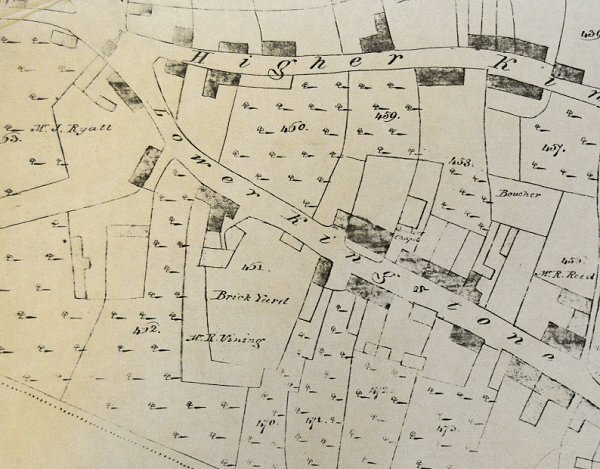 The brickyard was continued by his son Richard, certainly by 1842 as witness by the annotation on the map below. 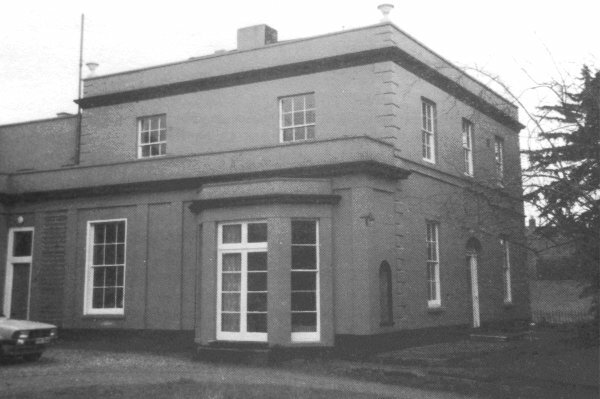 On the site of his father's brick yard he built Kingston House (photographed below) in the Regency style, probably in the 1830s, which became the home of his son James Tally Vining at least from 1842. It later became part of the Park School. He also built Swallowcliffe House, probably for wealthy glove manufacturer George Mayo, around 1830. Sophia died in 1847 and in the 1851 census Charles Vining, by now a 70-year-old widower, was living in Hendford. However at this time Hendford in fact included the western side of Princes Street as far as Park Road and from his position in the census it would seem that Vining was living in one of the houses just before Old Sarum House (now the Prezzo restaurant). He gave his occupation as retired builder and was living with his son Charles Jnr, unmarried and aged 44 with his profession being listed as solicitor's general clerk. Charles Vining died on 6 November 1855 aged 75. An extract of Watts' 1842 Yeovil map with Fiveways at top left and Kingston running diagonally across the map. The Vining's brickyard is clearly marked lower left of centre, at this time belonging to Richard Vining. 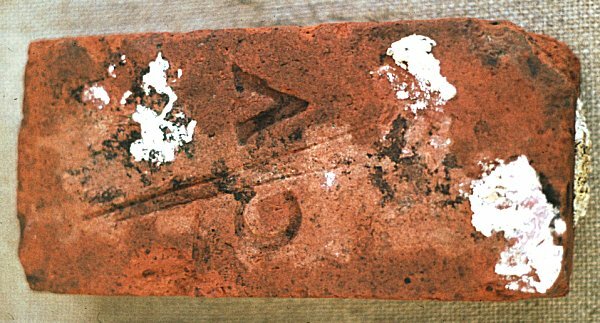 A brick manufactured in Yeovil by Charles Vining and bearing his C/V strike mark. This particular brick came from Hainbury Mill and dates to the 1830s. This Regency house, Kingston House, was built by Charles Vining on the site of his father's old brick yard and was the home of his son James Tally Vining. It later became part of the Park School.